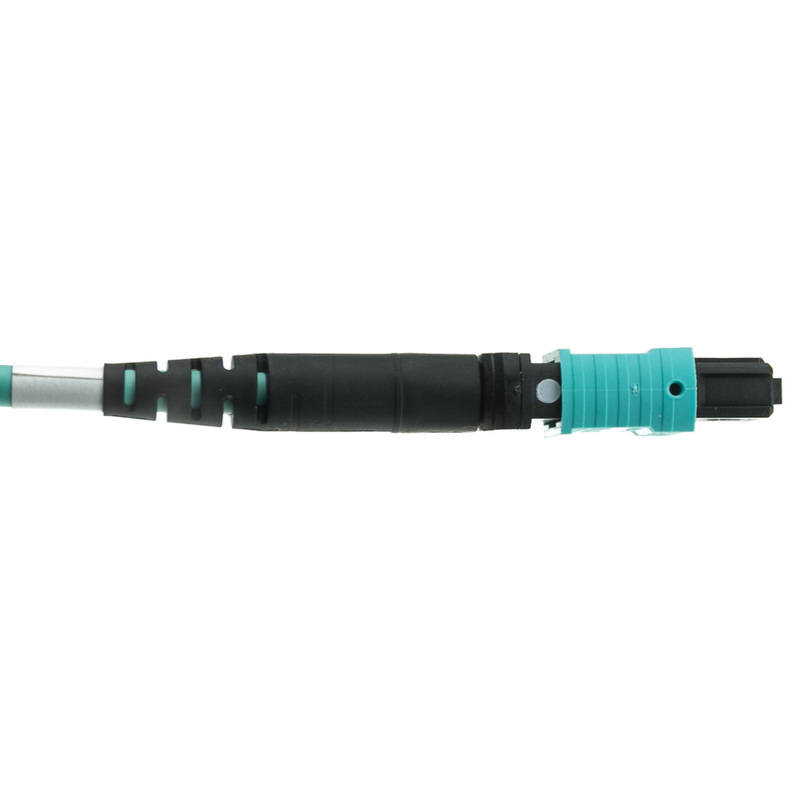 This 1 meter (3.3 foot) high-quality Plenum MTP / MTP (MPO) fiber optic cable supports 100 gigabit transmissions over 24 Strands with an Aqua Blue colored jacket. 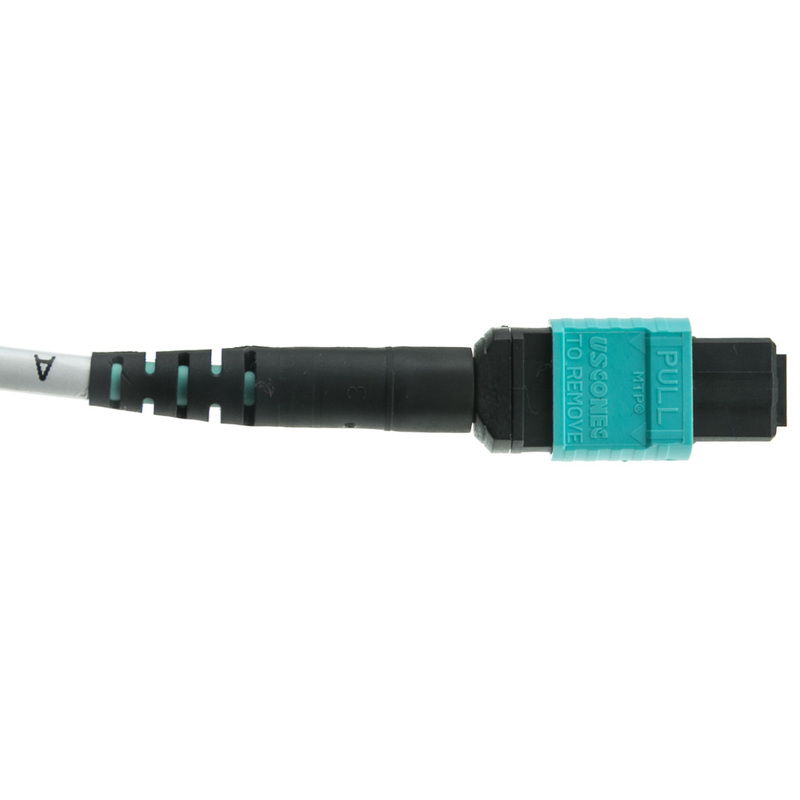 Plenum cable is jacketed with a fire-retardant plastic jacket of either a low-smoke polyvinyl chloride (PVC) or a fluorinated ethylene polymer (FEP). 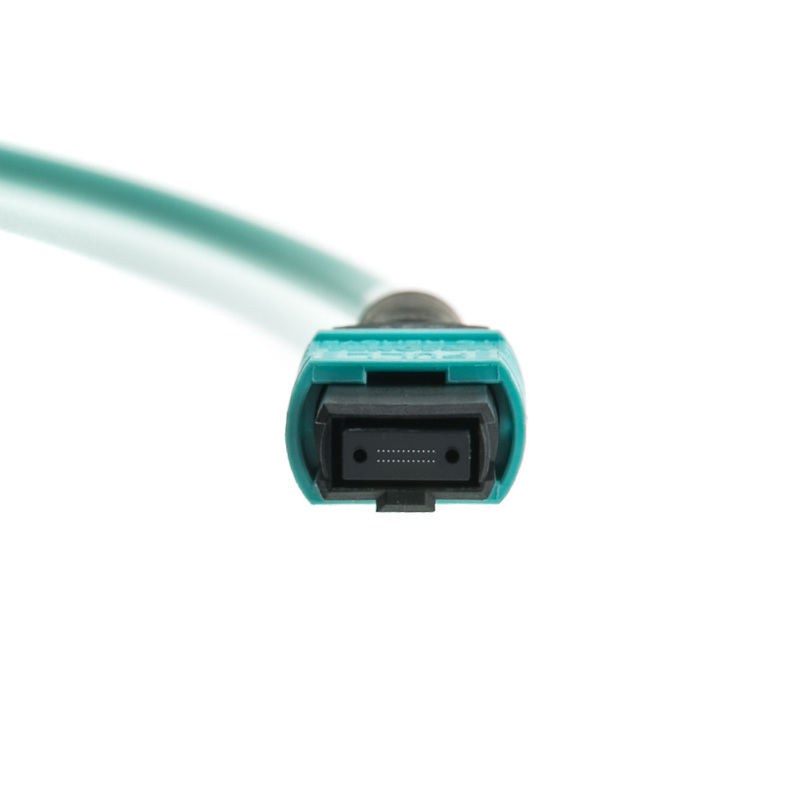 Local building codes may require all cables run inside the walls or ceiling be Plenum rated. 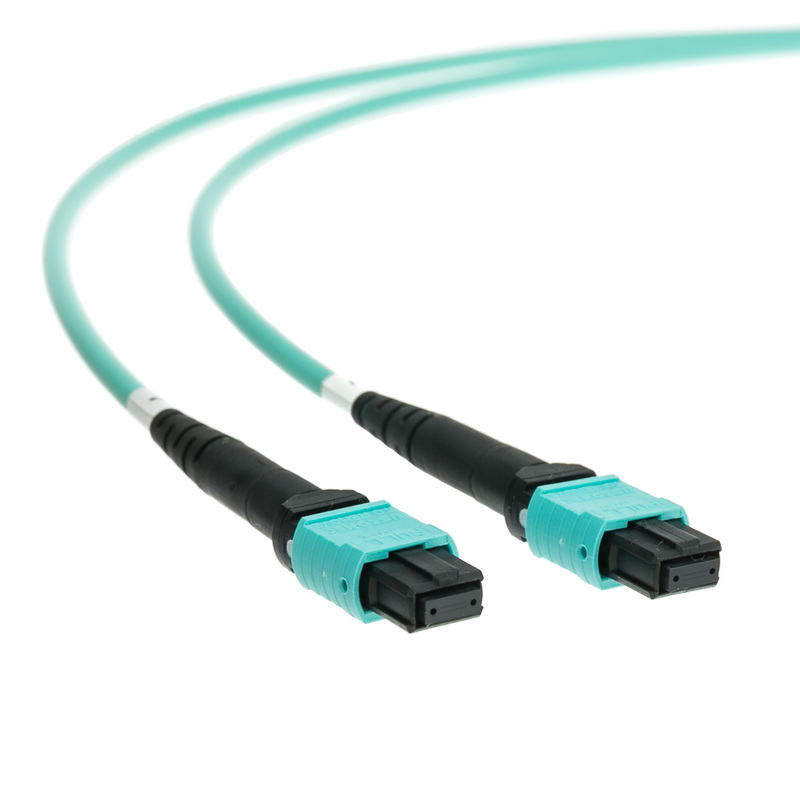 Multimode cables can come with many different fiber optic connector types and a couple different core sizes. This particular 100 gigabit Multimode fiber optic cable offers MTP connectors, is and has a 50/125 micron core.